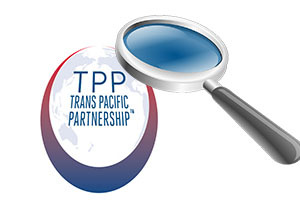 This is the sixth in a series of articles Interest.co.nz has commissioned reviewing the key chapters and issues for New Zealand in the Trans-Pacific Partnership Agreement (TPPA). Links to all the analysis in this series are below. You will often hear the TPPA described as a trade agreement. But in many ways it is more than that, because it sets rules across a wide variety of areas. Amongst other things, it is a bilateral investment treaty, it is a competition policy treaty, and it is a labour rights treaty. In places, it is even a human rights treaty. It is perhaps better thought of as a trade-themed agreement. The TPPA is also an environmental treaty. Chapter 20 of the TPPA carries the simple but straightforward title of “Environment”. The chapter obligates signatories to observe their existing environmental legislation and commitments – and expressly prohibits signatories from waiving these environmental protections in order to attract trade and investment. It also contains new regulations to address overfishing. And it comes with the standard enforcement mechanisms that we have seen elsewhere in the agreement, so these provisions are – in theory – binding. Leonardo DiCaprio would be disappointed with the TPPA. Indeed, anyone who considers climate change to be the problem that will define this century is disappointed. The chapter entitled “Environment” – and in fact the whole agreement – makes no mention at all of “climate change” or “global warming”. The chapter does make an oblique reference to the issue by discussing emissions in Article 20.15 (Transition to a low emissions and resilient economy). The word “emissions” encompasses a broad set of pollutants, and undoubtedly makes the chapter more palatable to climate sceptics in the US Congress and elsewhere. The Article states that the Parties recognise the need for collective action in order to move to a low emissions economy. Paragraph 20.15.2 provides a list of areas in which parties may cooperate to move towards this goal, including clean and renewable energy sources, reducing deforestation, and emissions monitoring. In other words: all talk, and no action. There is nothing binding in the provision. If we are to get serious about the threat of anthropogenic climate change, we must recognise the role that international trade plays in exacerbating the problem – and how trade could help solve it. A broad-based treaty that contains both trade and environmental provisions is the place to do it. International trade can undermine domestic climate policy. Take the example of Europe – without question the most responsible global citizen when it comes to confronting climate change with action. Europe has been quite successful in reducing its territorial CO­­2 emissions since the early nineties. But when we measure the region’s emissions based on its consumption – rather than production – their annual emissions have been steadily creeping back up, and are now about a billion tonnes more than their territorial emissions. Why? Because Europe is importing more and more stuff produced in countries with less strict climate policies than their own. The sad irony is that their own domestic policies have – to a small extent – enabled unsustainable development elsewhere in the world, including emerging countries. Europe must ultimately target the carbon emissions embedded in its imports – and a trade treaty with an environmental chapter in it would be the place to do it. In fact, rather than exacerbating the problem, these broad trade agreements could be effective instruments in fighting climate change. The large multilateral climate talks run under the auspices of the UN are perennial disappointments. Just last week the world signed off on another climate treaty – a treaty that requires nothing but contemplation because all emission cuts are voluntary. The developed and the emerging economies of the world do not see eye-to-eye on how to solve the problem, with the latter pushing for the right to develop in much the same way we have - the carbon-dependent way - and with the US and Canada refusing to play ball unless they sign up. The carrots the UN has on offer are clearly not enough for the developing world. The carrot of free trade is a far bigger prize. And the emerging economies of the TPPA are the ones expected to gain the most from the agreement through unfettered access to affluent markets. That was a big carrot to dangle in front of the developing world, and ultimately a missed opportunity to encourage sustainable development in parts of the world that are expected to drive global growth this century. No Party shall fail to effectively enforce its environmental laws through a sustained or recurring course of action or inaction in a manner affecting trade or investment between the Parties, after the date of entry into force of this Agreement for that Party. If a country relies on cheap and dirty energy, then that increases the competitiveness of its exports – particularly in energy-intensive sectors like manufacturing. Thus, the agreement could provide additional teeth to any comprehensive multilateral climate change deal – provided these agreements are formally incorporated into domestic legislation. The chapter does address many other environmental issues in a manner that deserves recognition. Many previous attempts to incorporate binding environmental provisions into trade agreements have failed. The Committee on Trade and Environment (CTE) at the WTO is effectively nothing more than a symbol, charitably described as “a forum for rather fruitless discussions”. The proponents of the TPPA understandably point out that it does more. It contains specific provisions that reinforce the environmental treaties to which the Parties are already committed. It also contains new provisions to improve management of global fisheries. Article 20.5 (Protection of the Ozone Layer) is based on the Montreal Protocol, and states that each Party shall take measures to control the production and consumption of, and trade, in substances which can deplete the ozone layer. TPPA signatories are deemed to comply with this article provided they meet their obligations under the Montreal Protocol through domestic legislation listed in Annex 20-A. For New Zealand, that means the Ozone Layer Protection Act 1996. Article 20.6 addresses pollution from shipping, and draws on the existing multilateral environmental agreement (MEA) in this area – the International Convention on the Prevention of Pollution from Ships (MARPOL). TPPA signatories are deemed to comply with this article provided they satisfy their MARPOL obligations through domestic legislation listed in Annex 20-B. For New Zealand, that means the Maritime Transport Act 1994. Article 20.17 details responsibilities to “combat the illegal take and trade of wild flora and fauna” by enacting and implementing legislation to meet their obligations under the Convention on International Trade in Endangered Species of Wild Flora and Fauna (CITES). Although each country is already a signatory to these three environmental agreements, explicitly incorporating them into the TPPA makes the treaties more enforceable. Infringements of these environmental treaties are effectively subject to the TPPA state-state dispute settlement mechanism, and thus signatories ultimately risk having their trade benefits suspended if they are found to be in violation. In addition, Article 20.3.6 states that “Parties recognise that it is inappropriate to encourage trade or investment by weakening or reducing the protection afforded in their respective environmental laws.” This clause is a not-so-subtle reference to some of the serial offenders in the room when it comes to bending their environmental laws to suit foreigners. Article 20.16 breaks new ground in the management of global fisheries, acknowledging that “the fate of marine capture fisheries is an urgent resource problem facing the international community”. It requires parties to operate fisheries management systems to prevent overfishing, reduce by-catch, and promote the recovery of overfished areas. The Article prohibits subsidies for fishing that negatively affects depleted stocks, or to vessels that have been listed as engaging in illegal, unreported or unregulated (IUU) fishing. A country that violates these environmental commitments runs the risk of various penalties, such as the reintroduction of tariffs on exports. Alleged infringements of the chapter are dealt with through the state-to-state dispute settlement mechanism, meaning that these penalties are only credible if each government is willing to play the role of environmental watchdog for its neighbours. Perhaps that is a rather heroic expectation to make, especially when we know that there are other priorities and bargaining chips to consider in the game of international diplomacy. Right now Oxfam, the WWF and eight other environmental groups are petitioning the US trade representative (USTR) to sue Peru for violations of the environmental provisions in the US-Peru free trade agreement (FTA). All eyes should be focussed on whether the USTR makes a move – because the environmental provisions in the TPPA are modelled on previous agreements like the US-Peru FTA. It will be of great interest to see if the USTR will take Peru to task, and to see whether these environmental accords do in fact carry teeth – or whether they just turn out to be empty rhetoric. The US Government Accountability Office (GAO) has put the heat back on the USTR to get on with monitoring environmental provisions in its FTAs – so perhaps we will see some action on this front soon. And it is also encouraging that the USTR is pursuing legal action against Guatemala for an alleged violation of the labour clause in the Central American FTA. International trade can do a lot of good. You won’t often hear it, but global inequality has declined over the last three decades, in no small part due to the rise of trade and globalisation. The Chinese Communist Party has succeeded in lifting hundreds of millions out of poverty in an incredibly short amount of time. And they did it by engaging the markets of the world. But it is no coincidence that China has also shot up the rankings to become the number one emitter of carbon dioxide. While global inequality has fallen, the amount of carbon in atmosphere has continued to rise, and at an accelerating rate. The developing world still lags far behind the US, Australia and even Europe in terms of CO2 emissions per capita, but it is clear from climate negotiations that many developing economies want to be wealthy before they want to seriously contemplate sustainability. It is, however, laughable to think that any country would voluntarily tear down its fossil fuel infrastructure once it is in place. That is not happening in the US, and it is not going to happen in China. If the developing world does catch up with us in terms of CO2 emissions per capita, it will significantly increase the chances of ecological disaster. If that happens, let’s be honest with ourselves: Yes, the developed world built an unsustainable economy. But international trade will have enabled the developing world to make the same mistakes that we have, and harried us towards an uncertain future. We can have trade that enables not only development, but sustainable development. The TPPA is leaning in the right direction, but it could not bring itself to even utter what may very well be the problem that defines the twenty-first century. The first step in solving a problem is admitting that you have one. Amber Carran-Fletcher contributed to this article. Ryan has highlighted the predicament of attempting to operate a globalised, fossil-fuel-powered economic system whilst at the same time attempting to limit planetary overheating. What he seems to miss is that ANY activity in the industrial system adds to atmospheric CO2 because ANY activity is ultimately dependent on the burning of fossil fuel. Only a near-complete global shutdown of industrial activity might prevent atmospheric CO2 continuing to rise. In essence, operating the extant economic system is incompatible with maintaining life-as-we-know-it on Earth for more than a few more decades. That fundamental truth is unacceptable to most people. No, we can't. Trade involves moving goods from one place to another using energy, and therefore generating CO2. In fact, there is no such thing as 'sustainable development'. 'Sustainable development' is a euphemism for continued polluting of the biosphere. Atmospheric CO2 will reach its seasonal peak at around 410ppm in a few weeks: 230 ppm above normal. And the displacement from the norm is increasing by increasing annual amounts, suggesting runaway. We'll know for sure within 2 years. Any activity is dependent on burning fossil fuel? Rubbish! We do have renewable energy sources at our disposal. They are just expensive. For boats and aeroplanes- which require a powerful and portable energy source- we can already make sustainable carbon-based fuels. Again, the problem is that they are incredibly expensive to make relative to pulling fossil fuels out of the ground. Your comment demonstrates how little you know about the matter. All so-called renewable energy sources are constructed and maintained using fossil fuels. All so-called renewables have limited life-spans and require replacement at some stage. Every person living in an industrialised society is dependent on fossil fuels for their food supply, and all foods in the industrial system are produced using fossil fuels. . Hence, all activity in industrial societies generates CO2 emissions. LOL. And you know it all. Happy trolling to you! Your net effect on society will be nil. You are right: pointing out reality has zero effect on society. As well as running on petrol, industrial societies run on misinformation, misunderstanding, manipulation misrepresentation and lies......which is why even worse catastrophe that we are experiencing now is inevitable. Environmental issues are one thing (and they are important! ), but how about you read this and decide if the TPP agreements all over the world are such a great idea in the first place? Go to http://www.globaljustice.org.uk and to the news section, there is the article about FOIA request that revealed how their UK government let a critical report disappear into a drawer, how convenient! !